Pet therapy, professionally referred to as Animal-Assisted Therapy (AAT), has been used by therapists in the UK for decades. Notably, pet therapy was used during WWII when an American Corporal, recovering in an army hospital in the Philippines, brought his pet terrier Smoky in to help cheer him up. The dog was such a hit with other injured soldiers at the hospital that the Commanding Officer at the hospital, Dr Charles Mayo, decided to take the perky pooch on his rounds - a career in therapy that Smoky continued for another twelve years. Later, American nurse Elaine Smith noticed a very positive response in patients when they were visited by a chaplain and his golden retriever dog, during her time as a registered nurse in England. Upon her return to the United States in 1976, Smith began a program for visits to institutions with training dogs. Since then, health care professionals worldwide have practiced and documented the therapeutic effect of animal companionship, with benefits ranging from increased trust and focus, to speech therapy improvements and also relief from anxiety, loneliness, self-esteem issues and depression. While it is a rather contentious subject, with websites and organisations such as HealthyPlace stating that pet therapy hasn’t actually been proven to work, countless personal accounts and endorsements by organisations such as the NHS show that AAT does have a place in the medical world of holistic therapy, and is a trusted means of treating depression by healthcare professionals globally. Working in nursing homes, respite homes, hospitals, psychiatric institutions and rehabilitation centres, animals are handled by professionals and help patients work towards specific emotional, cognitive, social and physical goals. "Bella goes everywhere with me, whether it be a gala dinner or board meetings… She is my companion. By having Bella with me, it brings a piece of home with me wherever I go." Owning a pet is well documented as being hugely beneficial to ill people but other considerations such as pet care must also be considered. Pets can be time consuming to care for and, while they are incredibly helpful, if a depression sufferer has trouble carrying out day-to-day tasks, then they may well have trouble committing to and properly caring for a pet. On the other hand, the patient’s nurturing instinct may kick in and the sufferer may well benefit from a companion. In this case, then, it is wise to consider the next level of care. Pets can also be costly, with veterinary bills costing hundreds - sometimes even thousands - of pounds, depending on the pet. Conduct a search for a comparison website like ‘moneysupermarket pet insurance’ to find financially viable cover to ensure that you could afford a therapeutic pet. There’s also the emotional distress caused by accidental death of a pet to consider, for which some insurers provide cover, although reimbursement is rarely the issue. This article was provided by moneysupermarket.com, the UK’s leading price comparison site. The moneysupemarket.com pet insurance service features a wide range of companies to help UK pet owners find the right cover for their beloved animals quickly and easily. The Midwest Horse Fair is scheduled for April 15-17, 2011 at the Alliant Energy Center in Madison, WI. The fair has tons of fun events over the three days including music, speakers, an animal communicator, horse care clinics, horse training, and so much more! To see a list of all the special guests that will be there or to purchase tickets, click here. If you love horses, you will not want to miss this event. Click on the dates above to see the full schedule for that day. Looking for something fun to do on this gloomy Tuesday? Here is a list of fun quizzes related to pets and animal quizzes I've come across over the years. These aren't scientific, of course...just fun. Enjoy! *Animal Planet Dog Breed Selector- Use the search tool to find the best breed for you! 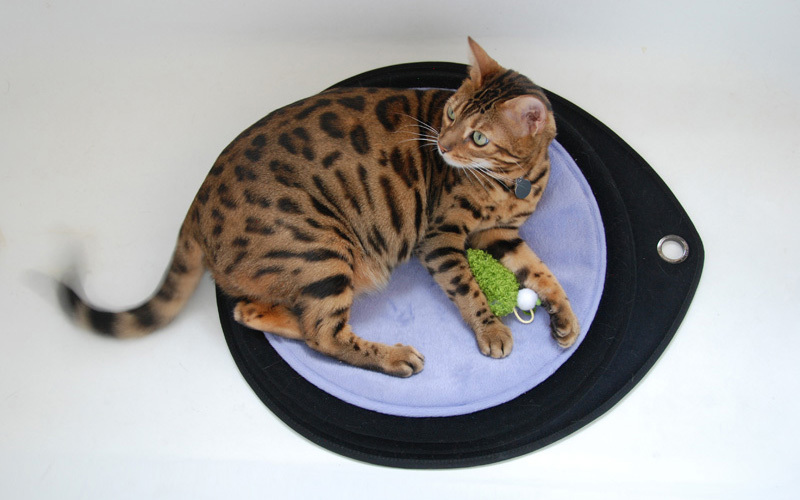 *Animal Planet Cat Breed Selector- Use the search tool to find the best cat for you! *What totem animal are you?- Find out which Native American totem animal suits you. 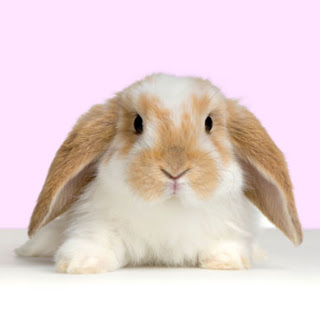 *Rabbit Care Quiz- A quiz about rabbit care and health. *African Pygmy Hedgehog Quiz- Do you know hedgies? *Chinchilla Lovers Quiz- Easy for experts, difficult for noobz. *Ratty Corner Rat Quiz- Test your knowledge of the domestic rat. *Guinea Pig Quiz- Basic cavy care and knowledge test. *Animal Planet Pet Picker- Which type of pet is best for your family? Feel free to comment with your favorite pet and animal quizzes! You're at the pet store with your family when your child finds it - a rabbit sitting amongst it's siblings in a well lit display. Your child begs and pleads until you finally submit that they can "hold it for just a minute" before you head home. While rabbits themselves don’t seem like a lot of money (most pet store bunnies sell for around $25-40), you’ll need to factor in how much you’ll pay in supplies. A basic ground cage will cost about $50 but a nice rabbit hutch with a rabbit ramp and enclosed house can run upwards of $130. You’ll also need food bowls, a clip-on water bowl (trust me, as much as they spill you don’t want to get one that you set on the floor of the cage), salt licks, food, bedding and chew toys. That $40 rabbit can easily cost you $200 before you’re out the door! And we haven’t even mentioned a pet carrier or the vet bill. . .
You also need to keep their living quarters at a comfortable temperature. If it is an outdoor rabbit, make sure it has a box or shelter that it can access to stay out of weather. If you live in an extremely cold climate, you can install heaters to keep the rabbit warm. If you live in a warm climate, adding a slab of granite or a frozen water bottle for your rabbit to lay on will help it cool off. Rabbits can be territorial and should never be housed in pairs if they have not been properly bonded (especially if they aren’t fixed). However, if a pair of rabbits is the same gender, have grown up together and you have adequate space for them, housing them together should be fine. At the first sign of fighting you should separate them. A balanced diet should consist of leafy greens, hay, and a limited amount of pellets. Alfalfa is good for younger rabbits but should be used sparingly (if at all) with older rabbits as it can lead to obesity. NEVER feed your rabbit lettuce, tomatoes, cabbage, parsnips, dandelion stems or nuts of any kind. You’ll need to give it fresh water daily and make sure it’s living quarters are clean. Since their teeth continue to grow, treats and other wooden toys are a necessity to help the rabbit keep its teeth worn down to a reasonable length. You will need to occasionally brush the rabbit as it sheds it’s coat and trim its nails. If the rabbit enclosure doesn’t have enough room for the rabbit to exercise, you will need to let it out to stretch it’s legs and stay fit. They can be difficult to catch, so I’d recommend using a rabbit leash or putting it in a fenced, escape-proof area. Always be on the lookout for predators! Supervision is always needed when children are around. Rabbits usually aren’t accustomed to being held. 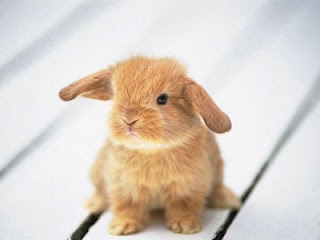 One kick from their powerful back legs can scratch a child or injure the rabbit itself. Make sure the child holds it gently and knows where the rabbit is comfortable being petted. Rabbits are curious creatures and may sometimes ‘nip’ or bite to investigate, so watch your fingers! For being such small creatures, rabbits live a long time (average of 9-12 years). That’s over a decade of feeding, cleaning, and caring for this rabbit. If after all this, the little rabbit sounds like the perfect pet for your family then by all means, take Floppy home with you. He or she will reward you with love, laughs and snuggles for a decade to come! Of course be certain to check your local animal shelter, as there are plenty of lovable homeless bunnies waiting for their forever homes. Aubrey Phelps is a writer for Simplepetcare.com, a site that offers information on all things pets. She has loved pets all her life and currently owns a chiweenie named Ollie and a cat named Ginger. Adopt a cat from Dane County Humane Society's Mounds Satellite Adoption Centers from March 15 to April 4 and enjoy decreasing fees. When the Badgers win, so do you! 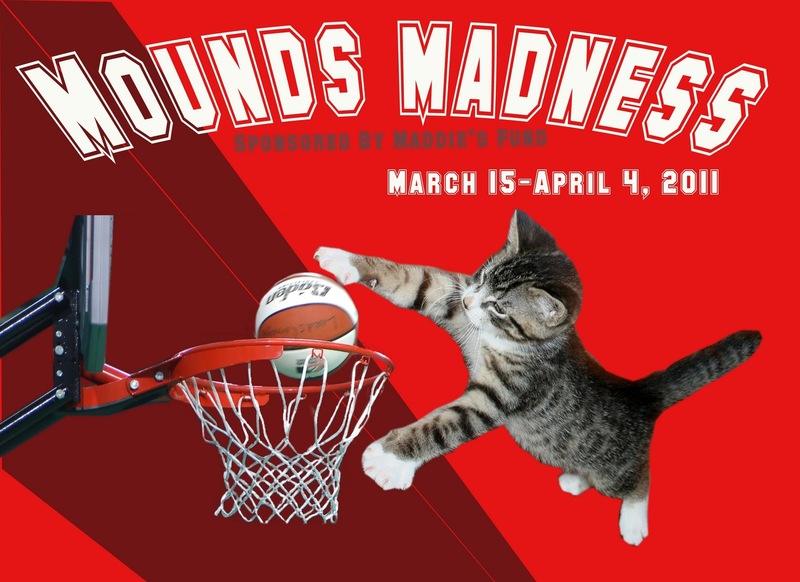 Cat adoption fees start at $32 and decrease as the Badgers advanced in the NCAA March Madness tournament. 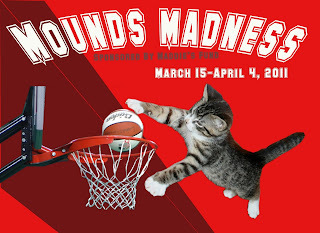 PLUS - with every Mounds cat adoption you will receive 16% off merchandise from Mounds Pet Food Warehouse. Crater Dot giveaway winner announced! Kathy D. from Uniontown, PA! She selected to receive the Lunar Gray Crater Dot. Keep watching Mad About Pets for more great contests, reviews, events and so much more!